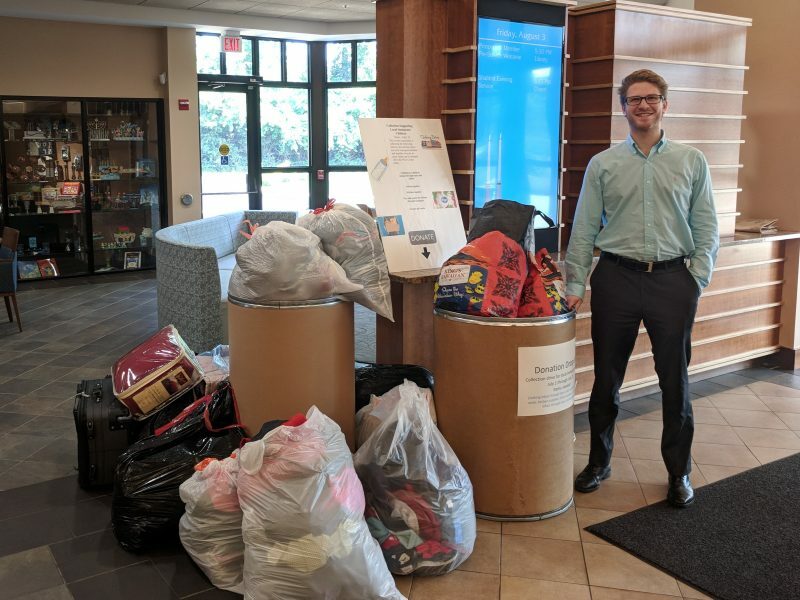 This summer, as part of a community-wide engagement effort, the JCRC was able to collect 20 huge bins of donated items for local immigrant children and their families. Pictured is the donation from members of Isaac M. Wise Temple. Not that long ago, our families were immigrants to this country, drawn to the United States by its promise of tolerance, religious freedom, and economic opportunity. So we, as Jews, identify with many immigrants and refugees today, who come seeking safer, more prosperous lives for their families. This summer, we came to the aid of immigrant children and families in Cincinnati in a variety of ways. Thank you for answering the call to help meet their needs. 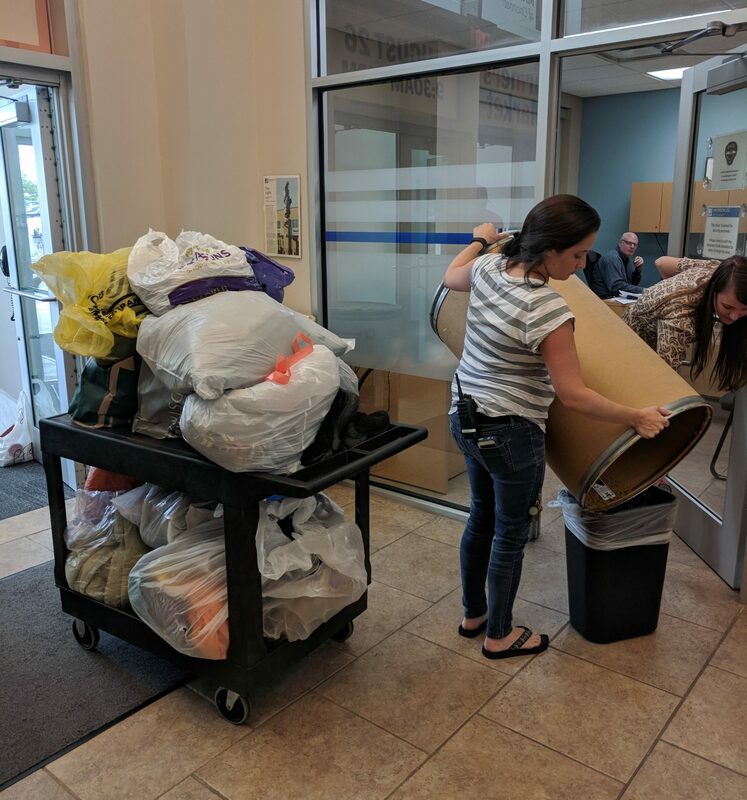 With your help, we were able to raise thousands of dollars and collect 20 huge bins of donated items. We empowered dozens of community members to volunteer their time and expertise and to advocate for an end to family separation. Additionally, we helped support organizations that directly serve immigrants and refugees in our area by connecting them with community members willing to serve as mentors. But there is more to do. In August, leaders from Jewish organizations including the Jewish Council for Public Affairs (JCPA), our national umbrella organization, participated in the Jewish Leadership Border Mission organized by HIAS and the Anti-Defamation League (ADL). They visited migrant shelters and immigration courts, and they met with American and Mexican officials to see the situation firsthand. They returned with a deeper understanding that our immigration system is profoundly broken and in dire need of reform. Read their reflection here. Please continue to help. Continue to call or email your senators and representatives in Washington. Learn more about volunteering to help local migrant children by attending an information session on October 10 hosted by the Immigrant and Refugee Law Center. Additionally, there are mentorship opportunities through RefugeeConnect’s Family Support Partner Initiative. If you’re interested in attending an upcoming training, please RSVP here. If you’re interested in learning more and staying in the loop, please click here. We appreciate your compassion, your help ending family separation, and your commitment to upholding the Jewish value of welcoming the stranger. Staff members at the Mayerson JCC load up items donated by the community for local immigrant children and families. 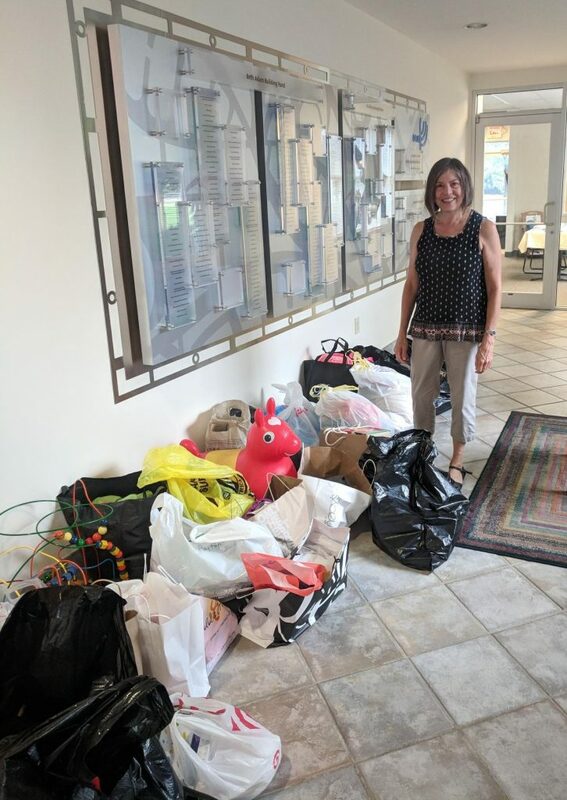 Members of Beth Adam congregation donated items to help immigrant children and families in need.